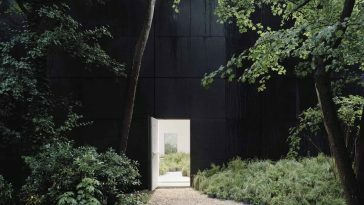 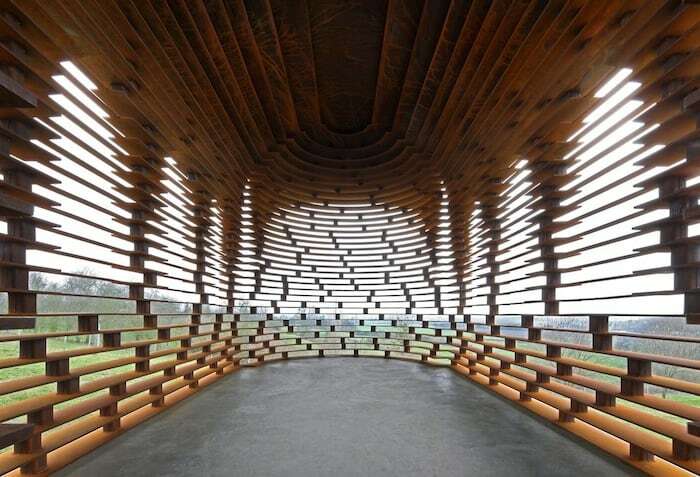 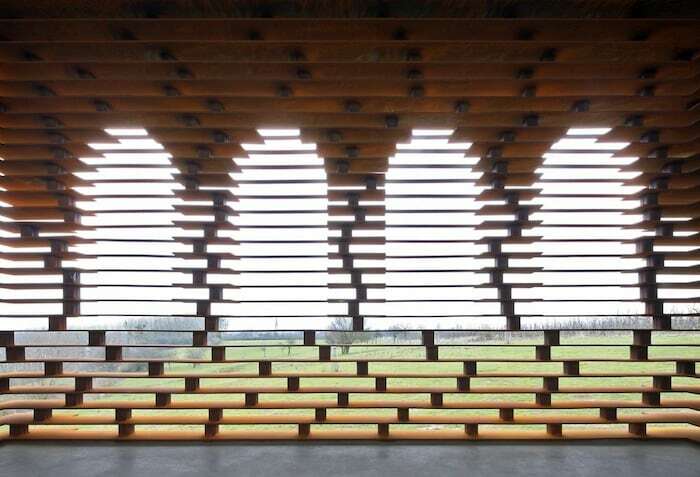 Belgian architects Pieterjan Gijs and Arnout Van Vaerenbergh of the Gijs Van Vaerenbergh studio designed a church, titled ‘Reading Between The Lines’ is an almost transparent. 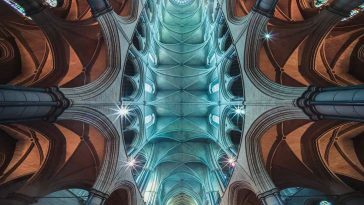 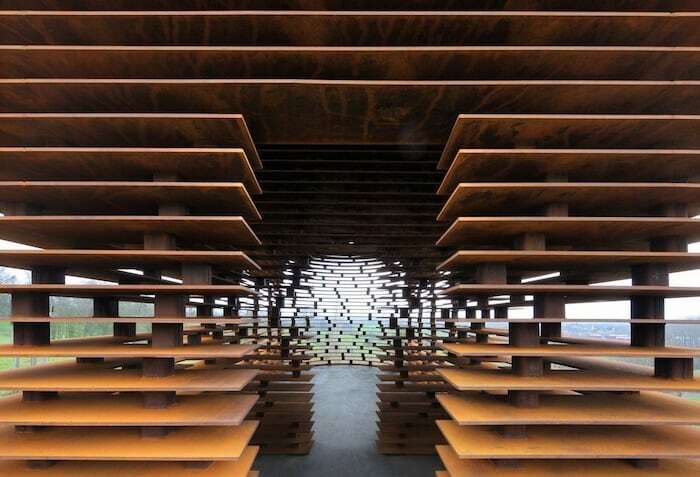 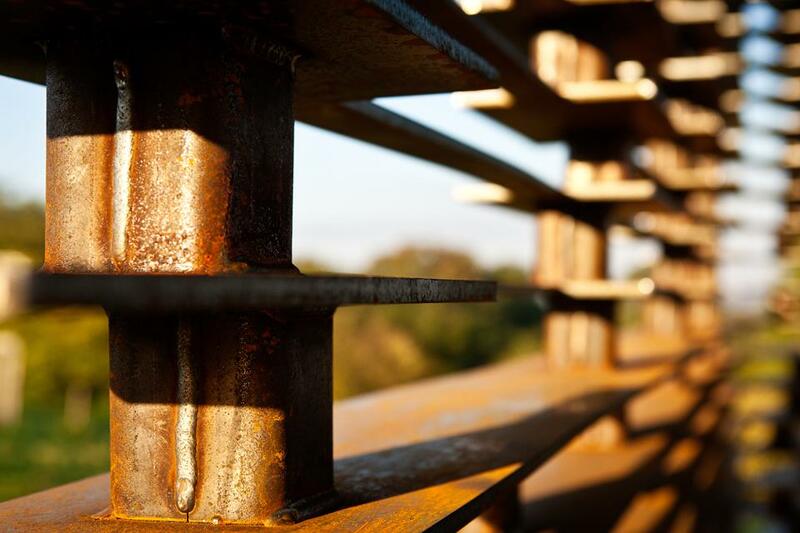 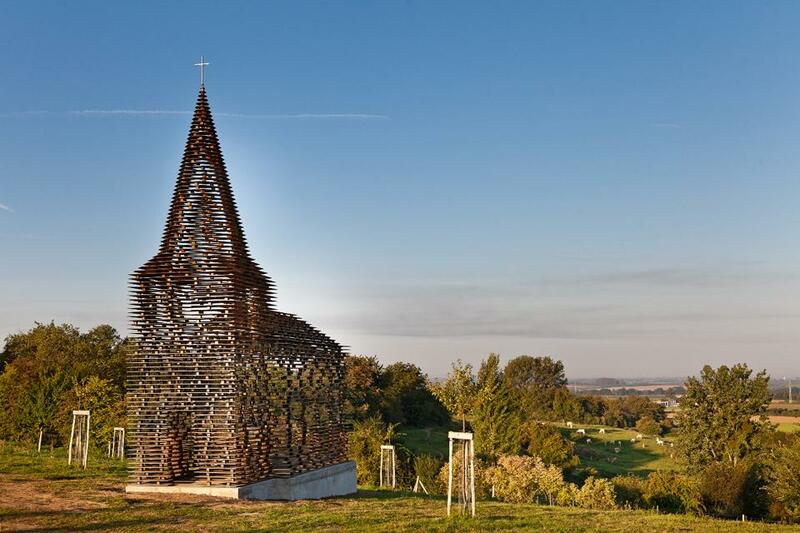 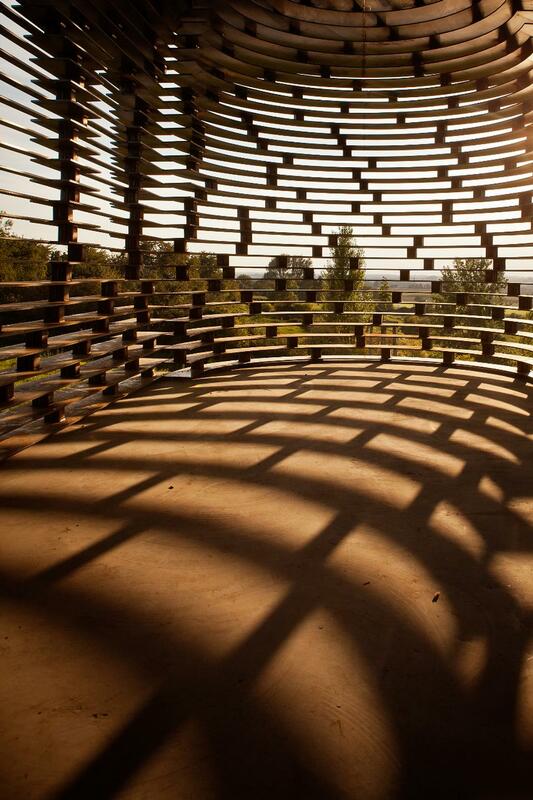 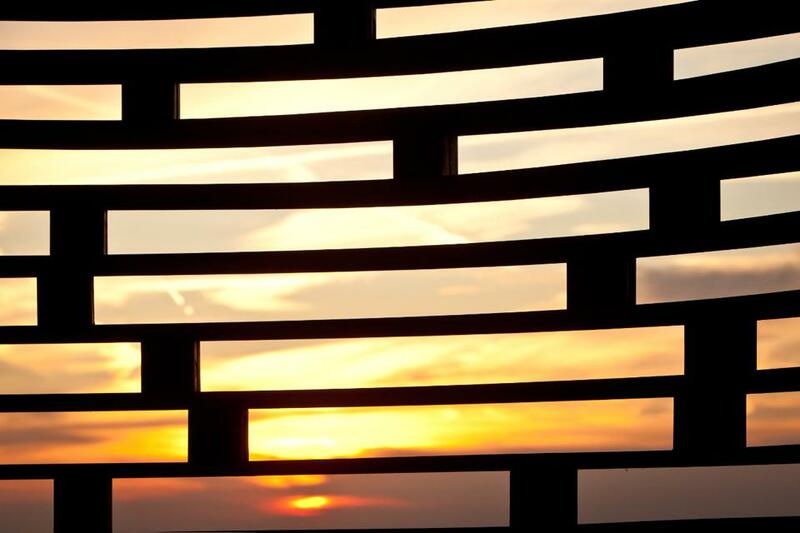 The 10-meter high church consists of 100 evenly aligned steel layers stacked in the form of a steeple and seems to disappear into the landscape when viewed from some angles. 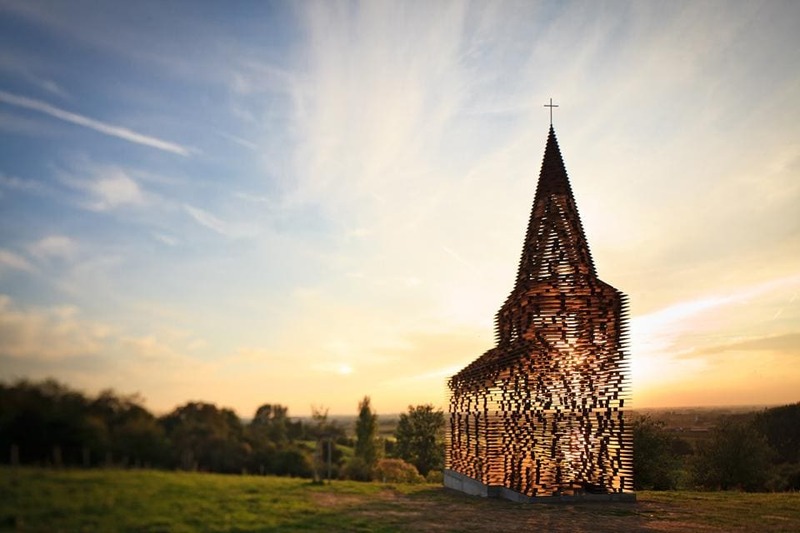 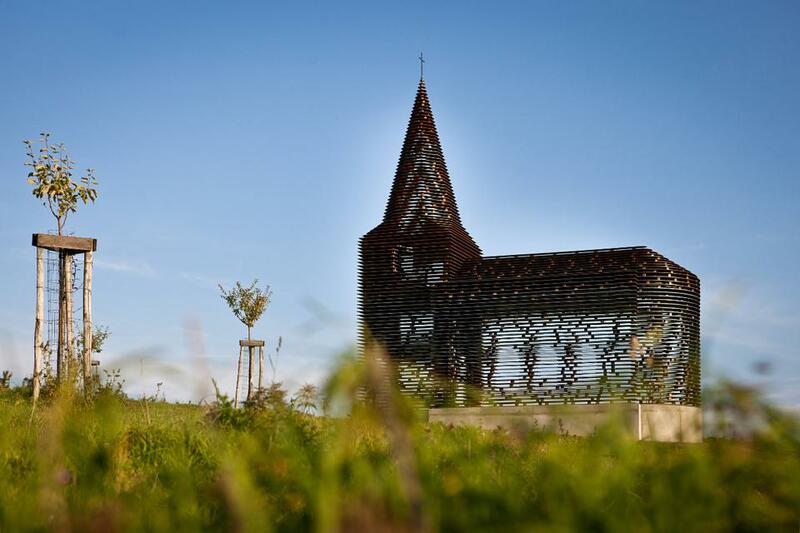 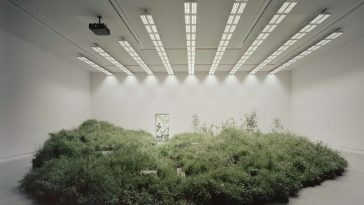 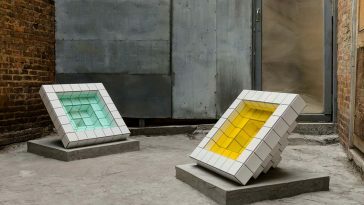 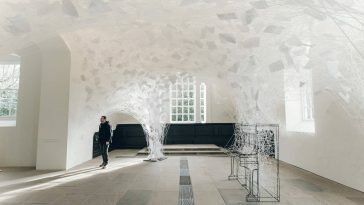 Built as a public art piece, the church is part of a project that intends to fire conversations on how to use the growing number of abandoned church buildings in the Flemish region.